What avionics did you use? Here is the mostly Garmin panel I posted a picture of in the "Show us your RV-14 Panel" thread awhile back. 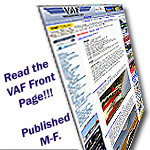 Here's a link to that post http://www.vansairforce.com/communit...0&postcount=10. Last edited by n982sx : 02-18-2018 at 08:09 PM. N314KC was the 24th RV-14 completed. Her first flight was March 8,2017 and she now has 190 hours. Last Friday, I picked her up from the paint shop. Paint scheme was designed by Scheme Designers. Painting was at Flying Colors of Texas in Gainesville, TX. Now, for some serious flying! Wow - that is a GREAT-looking paint scheme!!! Congratulations on such a wonderful bird, both inside & out. Last edited by Jimbot : 03-04-2018 at 07:33 PM. Reason: Stupid auto correct jacked up my original post! Awesome looking airplane and panel!! Looks great! Very nice color and scheme! That is one BEAUTIFUL bird!!! Great paint scheme and one you will enjoy for years to come. Flying since 3/06 and still smiling!!! N947RV Just reached her 1 year birthday, has 120 wonderful hours and has been to Texas, New York, Pennsylvania, Florida and North Carolina. Van's designed a great airplane that is economical, comfortable and a wonderful traveller. Carl: great to hear. Your blog / website is one of my "go-to's" when I'm stuck or have need inspiration! Still buzzing from finishing RV14, can't speak highly enough for the quality of the kit and plans, this aeroplane is good for GA, it gets a quality build on the ramp to a larger audience. I can see a big future for this model. Sports Aircraft Assn Australia. Tech Councillor. Last edited by Bootscooter : 08-05-2018 at 07:55 AM.